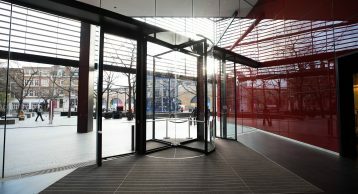 6 More London Place is a striking six-story office building clad in red and steel located on the More London development at London Bridge City. Designed by Foster and Partners the building is occupied by the likes of, Ernst & Young, Kantar and TNS. There are also five retail units occupied by Cafè Nero, EAT, Leon, M&S Simply Food and much more. 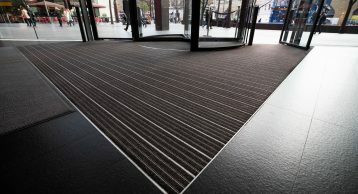 Fin out how our Entrance Matting is playing a crucial role in maintaining the internal aesthetics of the building in this case study. 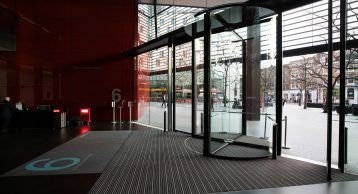 With such high-profile clients operating in this building and subject to heavy footfall it is critical the main reception maintains safety for all its occupants whilst retaining the aesthetic appeal. 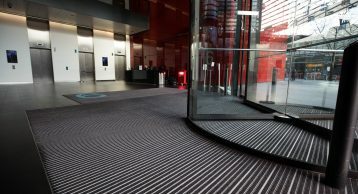 We at INTRAsystems worked with the client in installing our INTRAflow Entrance Matting system which not only addresses the aesthetics of the building and safety of its occupants but also helps in keeping the cleaning costs down, as a result reducing the energy consumption. 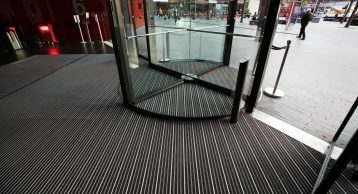 INTRAflow Entrance Matting is an open construction recessed Aluminium Entrance Matting solution. This helps the dirt and moisture to fall through the gaps which means the internal flooring stays clean and dry. Combine this with polyamide inserts and you have a solution designed for optimum performance and aesthetics in all commercial applications. it is also a 33% recycled Econyl yarn which helps give excellent environmental credentials. In keeping with sustainability initiative, the building management team have significantly reduced energy use through various installation of motion sensors and energy efficient lighting in the common areas. 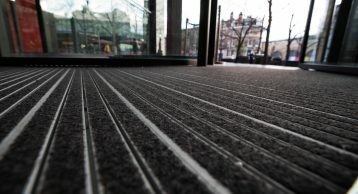 We can proudly say our Entrance Matting is playing a part in keeping this building sustainable. Our hard working and dedicated team worked with the architects in getting the specification right and ensured a perfect fit for the building. Why not give us a call and see how we can help you with your next project. Email us on info@intramatting.com or drop us a call on 01425 472000.